I’m tired. You’re tired. It’s 2017. In 2018, I predict we’ll all be even more tired. What’s more: I predict our readers are going to get more tired — and that means they’re going to stop responding to this insane, frantic mass of news we’re throwing at them by the minute. This will have tangible results. Traffic numbers will stop breaking records. Celebrity journalists will lose some of their starpower. And yes, subscriptions and donations will plateau. When this happens: I predict a round of handwringing from journalists who just can’t understand why people aren’t responding. Fatigue is, of course, a natural result of the news cycle and the people making all of the news. There are impressive feats of journalism and whistleblowing and accountability surfacing every hour, and more that do not even crack the surface of “mainstream” media attention. I’m not suggesting we stop doing any of this real journalism — I’m saying that we need to prioritize it, clearly and sometimes at the expense of our own egos and pet projects. It’s also fundamental to our job to help tired people figure out which news of the day actually matters. Take a look at your timelines and notification panels: There’s a whole lot more on there than vital, urgent, it’s-your-civic-duty-to-know-this journalism — and most of it’s redundant. We’ve all got social strategies and traffic goals and publishing holes we’re trying to fill, and we know how to write headlines and social copy that oversell what we’ve actually got. The cost comes when people train themselves to ignore us. There’s an answer: forcing ourselves to ask the question “is this really worth a reader’s time?” What if we chose to ask for our readers’ attention only — and I mean only — when we had something new to say? I’m talking about raising the bar on sending the seventh tweet promoting the same story, commissioning an extra Facebook video that autoplays a point everyone already knows, or pushing the same alert as every other competitor in the market. I expect that whatever we’d sacrifice in an afternoon of clickthrough rates, we would make up for in an undervalued component of reader trust: mutual respect. 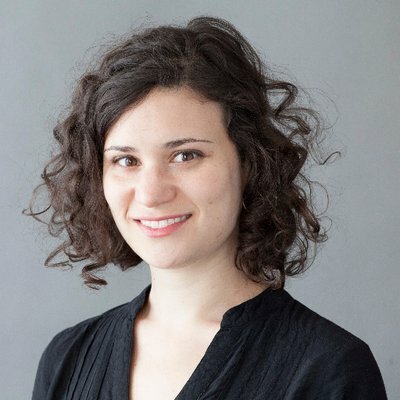 Ariana Tobin is an engagement reporter at ProPublica. Dec. 13, 2017, 7:35 a.m.